If you are looking to learn more about the potential penalties for driving while intoxicated content in this section should suffice. What is driving with influence? Having a blood alcohol concentration of .08 percent or more. For certain classes of drivers, the blood alcohol concentration is lower. For example, if you are under 21, you are prohibited to drive with any detectable amount of alcohol in their system, and driving commercial vehicles are subject to a legal limit .04 percent. When one is suspected to be on drugs or alcohol and is pulled over, enforcement officers can use a variety of ideas to identify use of drugs either in their blood or urine. 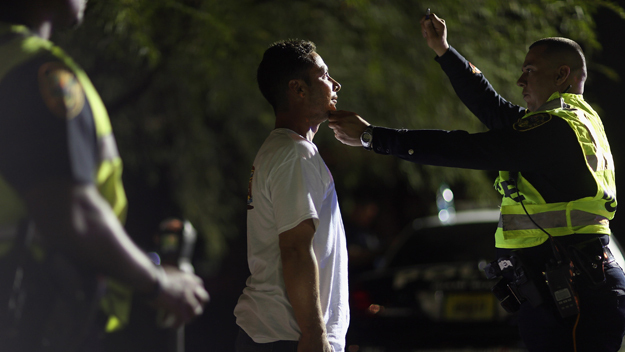 Blood alcohol concentration above the required cap is not necessary to accuse someone of drinking with influence; but rather get the cause indicating that you are drunk is enough for an officer to arrest you. Among the kinds of observations, an officer can consider as to whether you are under influence is through looking at the driver’s appearance and behavior, the presence or odor of alcohol, and the driver’s performance on a variety of field sobriety tests. Texas penalties of drinking with influence are based on different factors among them age, license type, and other circumstances (such as having other passengers in the vehicle, or horrific events such as death). Imprisonment (even for a 1st offense). More expensive car insurance, depending on your provider. There was a time early last year when James, who is one of my friends, was stopped in Northridge Los Angeles, but he didn’t pull over and he decided to over-speed past the police. This escalated to a police chase fiasco after which he was apprehended and charged with several offenses including risking other motorists’ lives and drunk driving. That saw him pay several fines and his license suspended for one year. James also ended up serving a six months jail term. If you’re stopped, be ready to show your permit, proof of insurance and registration details of the vehicle. However, on refusal to take a blood or breath test, your license will be automatically suspended for 180 days. Like many States, Texas has a Zero Tolerance Law for juveniles in relation to alcohol this means, people younger than 21, can’t operate automobiles with any amount of alcohol or drugs in their systems. License suspension not to exceed one year. Up to a $500 fine. An Alcohol Education Program at least 12 hours long. An additional 180 days of license suspension in case you don’t complete the Alcohol Education program. 90 days of license suspension in case your judge gives you community service. You’ll also have an ignition interlock device. The Federal auto Carrier Safety Administration (FMCSA) states that an individual driving and operating a public automobile with a blood alcohol concentration of 0.04% and above is considered to be under the influence while driving. Then your commercial driver permit is suspended for a year with a penalty of three years in case the vehicle is published for dangerous materials. Other extreme crimes involving drinking with influence include assault and manslaughter under influence. For first time offenders, they are put on probation while required to attend an education program about drinking with influence. For repeat offenders, one is supposed to undergo the intervention program whereas juveniles convicted of DWI, they undergo a special alcohol intervention program for minors. After two or more convictions on drinking with influence in five years, you must install a special ignition switch that prevents your automobile from being operated in case you’ve been drinking. To stay safe, don’t drive under influence or be designate. You can always call a cab. Moreover, where possible, spend the night where you are. A smart DWI defense and criminal law expert in Houston is the best option you’ll have if you’ve been charged with “Drunk Driving” anywhere in Harris County, Texas. For one thing, there is a strong chance you’ll be assessed a fine if you’re found guilty in the court of law in the Houston area. If you’re assessed any form of financial penalty, this could cause some difficulty paying everyday bills such as an electric utility invoice or other personal bills. In Houston, people generally hire Houston DWI defense specialist Tad A. Nelson when they’re looking for the best lawyer to defend them from prosecution in the court of law. One thing is for sure, the possibility of jail time is serious, making the need for competent legal representation an obvious imperative. An attorney who isn’t known for being loquacious, he knows when and how to articulate arguments on behalf of his clients when the situation justifies it. For more information about how Attorney Tad A. Nelson can help you fight DWI charges in Houston, call 713-489-7373 or visit the office using the map below. When a person is convicted for Driving While Intoxicated in Houston, they’ll be fined, jailed in most cases, and will lose their Texas Driver License. An undesirable fate like this can be avoided when the defendant is represented by a DWI defense attorney that’s skilled with DUI defense. A good DUI lawyer understands the nuances associated with the biochemical evidence that will be used by prosecutors in Harris County to pursue a conviction of the accused. For individuals arrested for driving while under the influence of drug or alcohol on a first or second occasion, the state of Texas will classify their offense as a misdemeanor offense. Special Note: If the person suspected of drunk driving had BAC over 0.15, Texas law demands enhanced criminal classification which could result in the enhancement of a misdemeanor driving while intoxicated offense to that of a felony. However, in the event that a person is arrested for drunk driving a third time, they’ll face State Jail Felony charges at a minimum. A conviction for a third or more DWI offense can mean a 6-month minimum jail sentence, and you’ll have a felony on your record. Attorney Tad A. Nelson, a skilled criminal defense lawyer for individuals accused of driving while impaired, is one of the best options for legal representation. He’ll scrutinize the evidence in your case, examine the history and training of the officer, ensure that the testing equipment is up to code, and will review the legality of the generating traffic stop. Tad Nelson is the real deal. 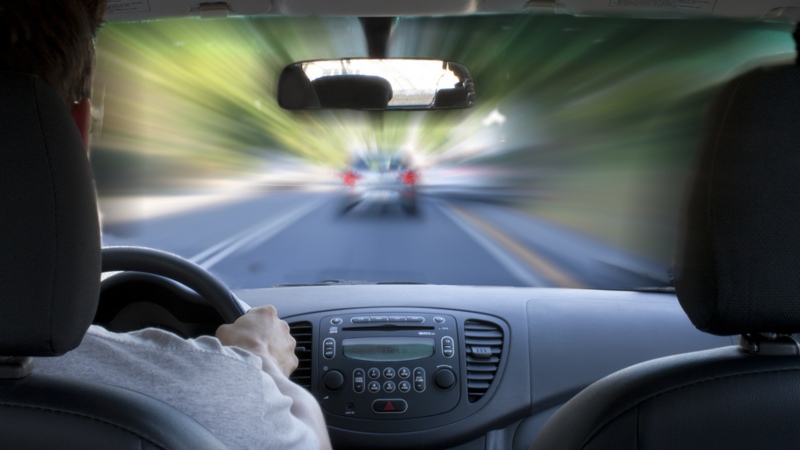 Before the court date for the originating DWI offense, the State of Texas will move to have your lawful right to drive and operate a motor vehicle suspended. This process is complete in an Administrative License Revocation (ALR) hearing. Tad Nelson, a top-rated Houston ALR lawyer, has helped thousands of Texas to avoid having their Texas Driver License suspended in this manner. In fact, succeeding in the ALR hearing will pay positive dividends in your criminal case. The ALR hearing is a civil matter that can impact the criminal case. If you need to talk with a skilled Houston drunk driving lawyer about your case and possibilities for getting the case dismissed, call Houston DWI Lawyer Tad A. Nelson immediately at 713-489-7373. We all know that the heavy consumption of alcoholic beverages can cause serious health problems, criminal charges as it relates to driving while intoxicated, and a number of other known and unknown damages to the human body. Consuming too much alcohol can create serious implications for your health and also affect the brain’s nervous connections as well as the heart by causing strokes and high blood pressure. The liver is also negatively affected by the overuse of alcoholic beverages as it will become more susceptible to common liver diseases like cirrhosis and/or fibrosis. Brain Damage and Mental Changes. Change in behavior and mood swings. Various liver damage such as steatosis, hepatitis, cirrhosis, and fibrosis. Pancreatic cancer. Alcohol causes the pancreas to produce toxic substances which can lead to poor digestion. Mouth, Esophagus, Throat, Liver, and Breast Cancer can also result as a use of alcohol along with damage to your immune system. As we have shared so far, alcohol can cause a number of detrimental health effects on the user. Its always important to think when you drink. Although moderate levels of alcohol in your diet can be healthy, if you are getting drunk on a regular basis, or “buzzed”, then you are damaging your heart, liver, pancreas, immune system, throat, mouth, skin, and putting yourself at risk of cancer. As stated, moderation is key. If you intend to drink responsibly, then this blood alcohol calculator should help you gain a better understanding of the effect that alcohol will have on you based on your physical attributes such as your height, weight, and others. Understanding how alcohol effects your body will help to curve your health risks, as well as keep you sober enough to prevent a DWI charge in the event that you have to drive home after drinking. 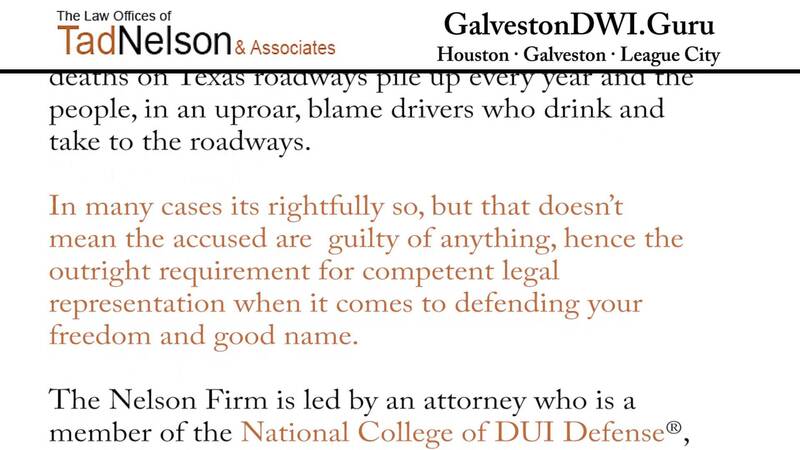 If you live or conduct business in the Galveston, League City, or Houston, Texas area, and are arrested by law enforcement for driving while intoxicated, or alleged to have been accused of a crime which is commonly referred to as DWI or DUI, contact one of the Houston DWI litigation attorneys at The Law Offices of Tad Nelson and Associates immediately to discuss the details of your case. Contact Information is listed below. DWI’s are in the news, and on the rise in America, so be careful on the roads. We regularly hear the expressions “BAC”, “Blood Alcohol Content” when we are perusing the news or listening to DWI criminal justice attorneys and lawyers talk on TV about DUI-DWI captures or genuine fender benders leading to serious death and dismemberment, yet what does BAC truly mean? It generally adds a scientific definition the level of liquor in an individual’s constitution might be measured by either a blood or breath test. Through the years, breath measuring gadgets, for example, the Datamaster, have turned into the more prominent decision for law requirement. A test of .08, or eight-hundredths of one gram or all the more by weight of liquor for every one hundred milliliters of blood or eight-hundredths of one gram or all the more by weight of liquor for every two hundred ten liters of breath, is the commonplace starting limit for a DUI offense in generally purviews. If you are accused of DWI in the State of Texas it could mean big trouble, the loss of a drivers license, and more. The inquiry again then is the thing that does .08 mean? To answer this inquiry we have to quickly examine how liquor assimilates into the constitution of the human blood stream before it causing intoxication capable of impairment. Regularly liquor is taken in by the mouth in the form of drinking such as is with other beverages. The point when the liquor is ingested, a portion of the liquor is retained by the films in the mouth; be that as it may, the vast majority of the liquor goes down the throat and into the stomach. Considering the amount of time you could get if looked away in jail, its best to weigh your actions closely when consuming alcoholic beverages. Liquor based intoxication is a good reason to hire a criminal defense attorney to help you come out as winner in the court of law. Liquor is then invested in the duodenum or small digestive system. In the long run, the liquor goes into the general course. When we feel the impacts of liquor, or sentiments of intoxication, it is in light of the fact that the liquor is circling all around our constitution and influencing our cerebrum. Liquor retains into the physique at about .02 for every beverage. A “beverage” is characterized as one ounce of 80 proof liquor, one standard 12 ounce lager at around 5 percent liquor or four ounces of unfortified wine. Accordingly, it shocks no one that an individual will start to feel the impacts of liquor sooner when drinking hard alcohol versus light brew. It takes something like 30 to 60 minutes for liquor to completely assimilate after it has been ingested, and there are additionally different elements that influence how quick the liquor retains, including an individual’s size and whether that individual is drinking on a full or unfilled stomach. So if an individual of normal size is drinking consistent twelve ounce jars of Bud Light on a vacant stomach, we can appraise that if that individual has three or four brewskies inside a hour time allotment, their blood liquor level will probably be close to.08. Presently, we should additionally represent the way that the form is killing the liquor as it is retained. This is the reason it is frequently said that as long as an individual keeps inside one to two customary beverages for every hour, their blood liquor level ought to remain below.08. 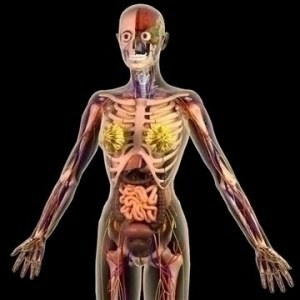 So, even a little measure of liquor in your framework, bloodstream, or body can bring about impedance and slower reflexes, and numerous pile up harm cases happen in light of the fact that somebody was driving while hindered by the consumption of alcoholic beverages leading to a DWI charge in Texas. It is constantly best to abstain from getting in the driver’s seat in the wake of expending any liquor. 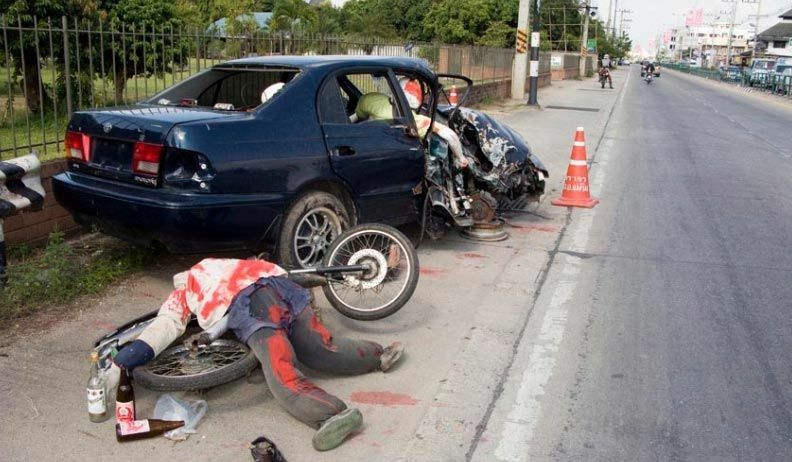 Driving while intoxication of liquor, beer, and other alcoholic beverages can lead to road-kills so be very careful to control your consumption of alcohol if you intend on operating a motor vehicle. Lives could be at stake. Facing Trial Due To a Drug Case? Copyright © 2019 David and David Law. Powered by WordPress and Follet.